On Thursday, September 24th, students from The FIU College of Architecture + The Arts will exhibit 3D-printed models at the Miami Center of Architecture & Design’s (MCAD) exhibition LISTEN TO THIS BUILDING. 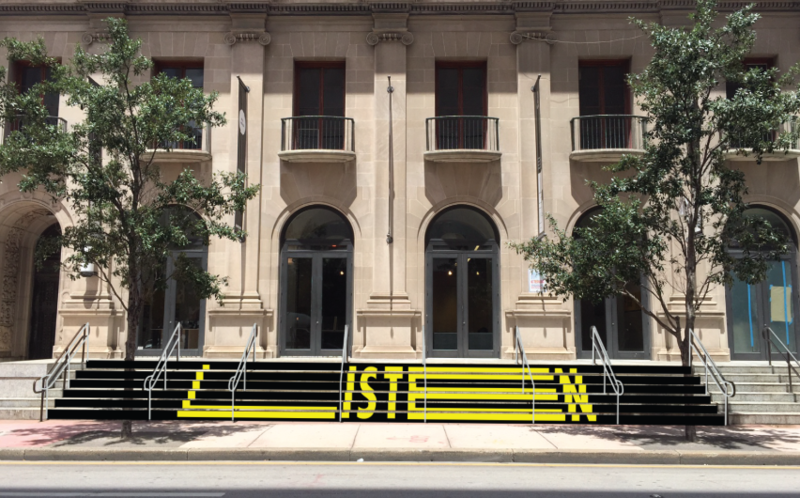 LISTEN TO THIS BUILDING – which coincides with the 25th anniversary of American with Disabilities Act – is a groundbreaking exhibition that seeks to bridge the understanding between Downtown Miami architecture, accessibility, and independent publishing, specifically addressing visual impairments. This collaborative project between EXILE Books, MCAD, and Miami Lighthouse for the Blind, is believed to be the first architectural exhibit designed to address accessibility for persons with visual impairments. The exhibit will transform Downtown Miami buildings into a living, multimedia representation via four components. Inside, tactile relief works of Downtown Miami architecture will frame the MCAD gallery walls. Also within the space, large-scale, 3D models of selected buildings created by students from FIU’s College of Architecture + the Arts (CARTA) at its Miami Beach Urban Studios will be obscured to every sense, except touch. MCAD’s exterior will house the project’s central component: an outdoor, public art installation featuring audio recordings in which community members share captivating stories about these historic downtown structures, accompanied by a large art piece inviting passersby to “LISTEN” on MCAD’s front steps. EXILE Editions has published a Braille artist’s book featuring these local narratives and tactile reliefs to commemorate the exhibition, available onsite at EXILE’s bookstore alongside a range of titles specifically addressing architecture and the experience of persons with visual impairments. The featured image is provided courtesy of EXILE books.